Toyota is moving its ASEAN production hub for the Toyota Fortuner from its Thailand plant to its Indonesian plant in Cikarang, a move that will increase the Cikarang plant’s production to between 90,000 to 100,000 annually from the current 60,000 to 70,000 cars. The relocation is expected to happen sometime in July or August this year. 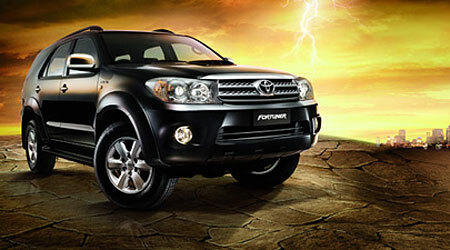 This will certainly change the country source of the Toyota Fortuner sold here in Malaysia. According to PT Toyota Astra Motor’s Jhonny Darmawan, the Fortuner was originally built in Indonesia, but it was moved to the Thai production lines for efficiency and market considerations as apparently the Thai plants were more ‘export friendly’ – perhaps in terms of logistics? Apparently there is less export demand for the Fortuner in this region right now, so it’s better for the Fortuner to be built in Indonesia instead. But the real reason could be that the Fortuner is built in Thailand along with the Hilux Vigo at the company’s Bangkok plant, which is one of the four plants that Toyota has in Thailand. And Toyota decided to shut down that 50,000 vehicle a year plant a few weeks ago, transferring its 960 workers to its three other plants. Toyota has yet to decide what to do with the Bangkok plant. Looks like Thailand’s plight is Indonesia’s pleasure, and more money in the bank for Astra! Previous Post: Lexus LFA breaks a champagne glass with its exhaust!